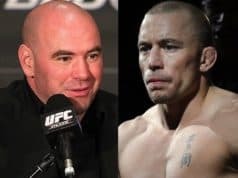 Billed as the most anticipated event in the history of the promotion, UFC 100 on July 9th, 2009 in Las Vegas proved to be a historic night that more than lived up to the pre-fight hype. Almost a decade later, we looked back at 10 crazy stories that occurred before, during, and after one of the most memorable events in the sport’s history. 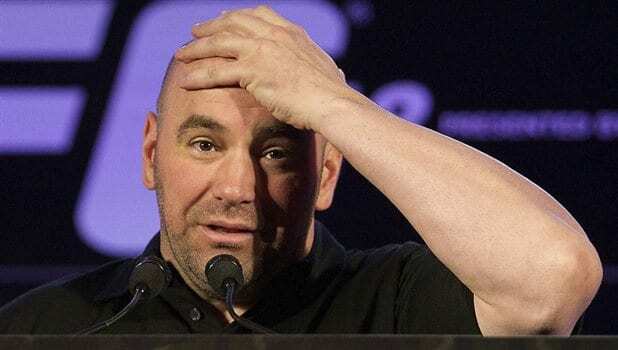 Caught up in the growing buzz before UFC 100, Dana White got carried away when asked if the event could smash the promotion’s previous record of 1.2 million pay-per-view buys. “1.5 million buys – I’ll jump, I’ll BASE jump off the Mandalay Bay. I promise,” White told the media. 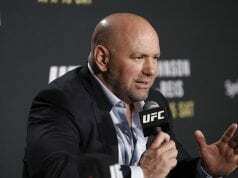 However, when it emerged that UFC 100 had, in fact, hit that lofty target, there was no sign of White perched atop the iconic 39-floor building. But the media was not quick to forget his promise and at the end of the year, he was reluctantly forced to speak about it again. “I’ve actually been working on it,” White claimed. “I’ve been training for it. I’m going to do it. … I’ve been training with one of the best BASE jumpers in the U.S.
“You guys keep [expletive] pushing me. You guys are the ones doing this to me. That’s what I get for opening my big mouth. I didn’t know we were going to do that many buys. I didn’t know. However, White’s promise proved to be nothing more than hot air as nearly a decade later he still hasn’t gone through with it. LowKickMMA.com is your #1 source for Mixed Martial Arts, MMA News, UFC News, rumors, Bellator, ONE Championship, Muay Thai and MMA Videos. 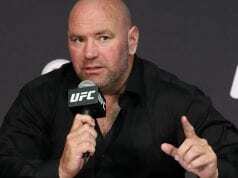 Join the community now and be kept upto date date with the latest MMA News from across the globe.